Ada Milby’s early experiences in sports have led her to become a trailblazer for girls and women in rugby. Ada Milby was dancing on ice before she was breaking through barriers. 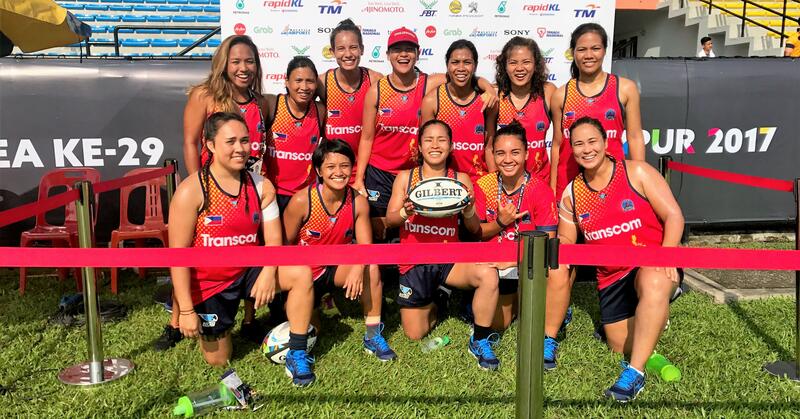 The former national rugby union captain in the Philippines, and current member of the Asia Rugby executive committee, began her sporting career in figure skates and sparkling dresses before donning cotton shorts and jerseys that went on to get repeatedly pummeled with mud. It was 1999, and while the muddy attire after every American football game she played wasn’t the most “prettiest” of looks, it was the least of Ada’s headaches. Football was very much a boys’ game, and Ada had just joined up to play with her high school team, an all-male group. “I was in a small town in middle America; it was a first at the time,” Ada says. “It had never been done before. While she was given her own change room, Ada encountered continuous opposition on the and off the field from some of her male team members. “There were a lot of boys that didn’t want me to play and they tried their best to make sure that happened,” she says. Ada stayed a season and then left. It wasn’t until university that she had her first taste of women’s rugby. “It was so much more fun and the environment itself was completely different,” Ada recalls. “I was in a culture where what I brought to the field was valued and the things that I had in mind were valued. It’s Ada’s early experiences in American football and rugby, as well as her following six years on the Philippines national rugby team, that have led her to become the first woman to be appointed on the World Rugby Council. It’s also because of those early experiences that she’s so passionate about ensuring girls and young women around the world are represented in sports, particularly in traditionally male-dominated games such as rugby. She’s an advocate for ChildFund’s Pass It Back sport for development program, which empowers disadvantaged children across Asia through teaching them life skills and the game of rugby. More than 50% of the program’s participants are female. “It’s tremendous to be able to have that success of that program centred around girls’ involvement and participation,” Ada says. Playing in team sports has so many benefits, especially for children and young people, says Ada. It’s very unlikely figure skating will be making a comeback in her sports career. “You get lots of great values and some of these soft leadership skills as an individual but doing team sports is like a whole other level,” Ada says. “You have to work together towards getting something across the line. Literally and figuratively. And you have to work with so many different personalities. Ada Milby is a member of the Asia Rugby Executive Committee and World Rugby Council.